Codd is lording it in front but O’Connor and O’Neill will ensure a battle royal to seasons end. It must be great fun these days trying to plan where to run your horse , with the ground and conditions nearly changing on an hourly basis the choice of race meeting or point to point can be sometimes in the lap of the gods. The East Down meeting at Tyrella which was postponed once already from last weekend to this weekend have already bittin the bullet and moved it again, this time due to a forecasted storm on Saturday in that part of the world. Entries stand and they hope to get under way on Saturday the 8th of February. Currently the United Hunt intend to race at Carrigtwohill on Sunday the 2nd of February with a 12.30 start while the Co Clare Hunt will also stage their fixture at Belharbour with the first race at 1pm. Neither meeting will have an Open Lightweight on offer with the highlight at both being a Winners contests. Carrigtwohill offers two such contests with the Jerry McCarthy Business Centre sponsoring the 1.30pm a Winner of One while Midleton Park Hotel & Jack Spratts Bar see their Mares Winner of Two off at 2.30pm. The Mares Winners has 8 entered in it and if they all turn up it promises to be a tight little contest. Miss Speedy , a winner for Richie Deegan and Aidan Fitzgerald at Dromahane , Miss Oscarose, victorious at Aghabullogue under Roger Harding for Joseph O’Keeffe and Waltz Legend a Winner of Two at Oldtown in March 2013 for the Co Dublin based Delaney family all add to a competitive race. When you throw in Eala Beag for the heroic Stella McGrath it shapes up to be a race not to be missed. The Winner of One sees 15 horses entered with Joe Casey’s Co Limerick horse Driftashore a fine second to Davy From Milan at Templecarriga under JT Carroll , Mezendore a winner under Colman Sweeney at Avaune for Willie Burke, JP Brennans Ballinaboola winner Need to Know for Barry O’Neill and Dan Rohan’s Ballinaclasha Lad a winner at Dungarvan last weekend for Derek O’Connor all in the mix. The Co Clare Hunt point to point at Belharbour could be a windy spot on Sunday where the first 4 year old Maiden of 2014 is staged. The winners contest sponsored by the Monks Bar in Ballyvaughan sees the previously mentioned Driftashore and Need To Know entered with 8 other possibilities, including Didyouno for Kieran Purcell, Moores Road for Michael Hourigan, Phone Booth for Robert Tyner and For A Change for Martin Cullinane. With 10 horses entered in the 4 year old maiden this will all come down to whispers as their form is unknown. With stables including Eddie Hales, Pat Doyle, Colin Bowe, Edward O’Grady and Sean Doyle entering horses it is a race not to be missed. Where all our table toppers go this weekend is anyones guess, Jamie Codd is still lording it in front of the jockeys with 35 winners, but I just cant help from thinking that last weekends treble by Derek O’Connor might just be the first real shot of a battle royal till seasons end. It would of course be foolish to rule out second placed Barry O’Neill as well but the trick will be for all of them to select the meeting where they can pick up winners. With none of them linked to any trainer that is obviously sending out box loads of winners this contest promises much. Vincent Halley retains his lead in the trainers table on 11, but with the 4 year olds coming on stream now it will be of great interest to see which yard including Halley, Christie, Tyner, Bowe and Murphy has the greater fire power. Our Novice Riders sees Harley Dunne now out on his own with 6 wins , 1 clear of Rob James whole Rachel Blackmore has now been joined by a Maxine O’Sullivan in the lead for the Ladies Championship on the 3 winner mark. Grange Stud must be pleased to see their stallion, Milan, head the sire list with 17 wins 4 clear of Beneficial. Not bad for a 16 year old stallion and augers well for the remainder of the season. With an alert out by Met Eireann do stay in touch with p2p.ie to keep up with any changes that might arise over the weekend. Will Esprit try to better Seabass at Aintree? I know ,I know we are living in the world of sponsorship and without it racing probably wouldn’t survive. So thanks must go to each and every sponsor that invests money in racing, whether it be a maiden point to point for older geldings , the Irish Derby or the Aintree Grand National. Some like the Hennessy at Newbury have taken on a life of there own, others have drifted from memory, the chances are that this years title of the Aintree spectacular the Crabbies Grand National wont live to long in the memory either! Its a dreadful name put on an iconic race for sponsorship purposes, hopefully the racing authorities never get an offer from Ann Summers or Rentokil to sponsor the race in the future! Entries were released today for this years renewal on the 5th of April seeing a staggering 115 horses entered with 39 trained in Ireland. Gone are the days of old with horses from outside of the 10st mark getting a run or horses with little form being allowed run. The alterations to the fences have for some sanitised the race making it no more than a “big” handicap run over unusually presented fences for the most part. Even if this was totally true it remains a race that nearly everybody, owner, jockey, trainer, breeder, punter, stable staff etc really want to win. A quick glance at the entries shows up a few interesting contenders. Of course the big talking point will be when the weights are announced with this being the only race that a horses track form can be over ridden by its record over the Aintree fences. Co Carlow based Willie Mullins has 8 entries, some speculative I would imagine at this stage but they include his dual Gowran Park Thyestes Chase winner, On His Own as well as the Leopardstown Paddy Power winner Rockyaboya and the recent Ballinaboola Open Lightweight winner Quel Esprit. The 2013 Galway Plate winner , Carlingford Lough , now one of this seasons top novice chasers has been entered by Co Waterford trainer John Kiely, with Henry De Bromhead coming from the same neck of the woods including Buckers Bridge at this initial stage. Co Kildare based Martin Brassil took the Gigginstown House Stud National at Kilbeggan last summer with Double Seven and he also won the top Listed Chase at Wexford at Halloween to set himself up for a tilt at this race. Dot Love sprang a huge surprise at Fairyhouse last Easter when the Co Westmeath trainer saddled Liberty Counsel to win the Irish Grand National under Ben Dalton. Will they be able to repeat the surprise here? Or will Thomas Gibney and Lion Na Bearnai be in a position to do the exact same double from their Co Meath yard? Seabass, third in 2012 under Katie Walsh behind Neptune Collonge hasn’t seen a racecourse since Auteuil last June, but Im assuming Ted Walsh knows where he is and will have him ready to race. Seabass had won an Open Lightweight at the Wexford Foxhound meeting in Ballinaboola in November 2011, prior to his transfer to the track in 2012, so maybe Quel Esprit can repeat the trick for Willie Mullins? With Barry Connell the new owner of that good Hunter Chaser Mossey Joe following his purchase last weekend, he now has this interesting entry to ponder with in the coming months. When you throw in the classy British pair Tidal Bay and Long Run into the mix it makes for interesting race and will lend itself to much talk over the coming weeks. They will race for £1,000,000 stg So perhaps that will help the winner to forget the Crabbies name! Is High Chaparral the most expensive National Hunt Stallion? Its extraordinary just to see what money is floating around at the moment in the National Hunt world for young (and some not so young horses). Brightwells held a Breeze Up and Horses in Training Sale after racing at Cheltenham last Saturday night with some good prices achieved. The sales topper was a 5 year old Point to Pointer , Young Mr Gorsky who was knocked down to Jackdaws Castle trainer Jonjo O’Neill. A winner for Co Cork based Kevin O’Sullivan and Mikey O’Connor at the Scarteen Foxhound meeting at Kilfeacle a few weeks back the son of High Chaparral was purchased for £190k sterling following a pretty fierce bidding battle. He is out of the Supreme Leader mare Elizabeth Tudor, was bred by the Elizabeth Tudor Syndicate and raced between the flags by Archdeacons. His half brother, Thunderstorm is a 6 time winner for JP McManus and trained in Britain by Philip Hobbs. O’Neill was reported as saying that his future ownership was “to be decided”!!! There are no such doubts about Mossey Joe anymore with the 11 year old Moscow Society gelding making the phenomenal some of £160stg to the bid of agent Gerry Hogan. He was bought by Barry Connell who has a nice string of horses in training in Ireland including Our Conor and The Tullow Tank and will go into training with Co Limerick trainer Enda Bolger. This horse has very little mileage on the clock having only debuted in the point to point fields as a 7 year old , his two wins there when added to his 8 track wins amassed just under €100k to date. Just where he is campaigned is open to question but he is a really talented horse and it will be good to see him back on the track. Is he worth £160stg ? Well he obviously is to Barry Connell and sure isn’t that all that matters! High Chaparral must be one of the most expensive National Hunt sires in the business?The Coolmore based stallion is standing at a fee of €30k , not only had he the sales topper but he also sired Montana Belle who made the second highest figure at £170k in the ring. This 4 year old was having her third visit to a sales ring in her short life having previously made £25k and €34k, so thats a great profit for a bumper win. The point to point yards saw some other nice prices with Master of Verse a 5 year old by Milan being sold by Ger Hourigan from his Tipperary base for £150kstg on behalf of Willie Mullins. A winner under Jamie Codd at Dromahane in December anyone with a horse placed to this lad on that occasion might be forgiven for thinking that their horse could get a whack of money if sold as well! But as we all know it doesn’t work that way. Donnachadh Doyle and his Monbeg Syndicate would have been happy with the £140kstg that they secured for the Arcadio 5 year old Go Conquer. Purchased by British trainer Donald McCain this horse had failed to complete the course under Barry O’Neill in his two previous efforts so his new owners are putting their faith in ? Well I suppose his potential, as everyone buying at this sale were with all of their purchases. McCain has bought one or two horses from the Co Wexford based Doyle brothers with some success in the past so this horse might be worth popping into the note book. This type of sale of young horses with form is now very popular, what amazed me was the fact that High Chaparral a Flat stallion is the sire of the two top lots. Young Mr Gorsky was very clearly bred as a national hunt prospect and Montana Belle’s dam while flat bred herself has really only seen success as a broodmare over the jumps as well, so these were not accidents but clearly planned stallion covers. So anyone with a spare €30k knows where to go! Maxine’s stunning performance in the Open lights up the day! 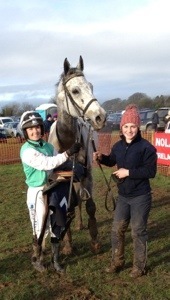 Maxine O’Sullivan the 22 year old amateur jockey from Lombardstown, Mallow, Co Cork was the Queen of the Point to Point world yesterday following her stunning performance on board Burren River in the Connollys Red Mills Open Lightweight at the North Tipperary Fixture in Nenagh. The 22 year old took some notable scalps when driving the 8 year old Amilynx Gelding Burren River home ahead of some notable track performers such as Pandorama and Quantitativeeasing. It wasnt just in the equine world that O’Sullivan managed to upset the stutus quo as she herself beat three of this countries leading jockeys Nina Carberry and Katie Walsh into second and third place with the talented Evanna McCutcheon back in fourth place. Having only won her first race on the track last June when winning a bumper at Downpatrick on Rathvinden she also won over fences at Tramore on Pals Leg in December showing that the 2013/14 season is just getting better for the young Cork woman. With her 20th point to point win now and her 3rd win of the season under her belt O’Sullivan who lost her 5lb claim here will be much in demand as she not only rides out for her father Eugene O’Sullivan she also takes out lots at David Finn’s and Tony Martins. Trained by Willie Murphy in Ballycurragh, Co Carlow Burren River will probably head to the track after this performance which stunned many both at the course and further afield. Racing opened with a win for Corky Carroll on the 5 year old Goulane Chosen for FP Cunningham and Mary O’Donnell with the Co Wexford yard of Liam Kenny winning the 6 year old geldings maiden with the Tom Redmond owned Optimum Spirit. Ridden by Harley Dunne this was the only finisher of the 10 horses that started and from reports he may have been a shade lucky but sometimes you make your own luck in this world. Co Carlow based Richie Deegan and Aidan Fitzgerald picked up another winner this season when the 6 year old Flemensfirth mare Hester Flemen took her maiden by a distance in the colours of James O’Neill while Colman Sweeney and Joseph O’Keeffe teamed up to take the winners of one with the 7 year old Cloudings horse Way Up In The Sky. It was also a red letter day for the father and son team of David Fenton from Fermoy, Co Cork when the 7 year old Milan horse Jonnie Chippy took the older geldings race for novice riders in the hands of Shane David Fenton. But in truth there was only one headline on the day with Maxine O’ Sullivan taking the starring role and announcing herself as a jockey very much to follow. 30th Thurles, 31st Dundalk (e), 1st Fairyhouse, 2nd Punchestown. 1st East Down (F), 2nd Co Clare (H), United Hunt (F). O’Connor rides a Dungarvan treble and Queally doubles up! With the East Down Foxhound meeting having to be postponed due to the weather conditions yesterday it was left to the Dungarvan Harriers and North Tipperary Foxhounds to stage the planned for fixtures. The Dungarvan Harriers meeting was switched to the Affane track some weeks ago with local land owner Bob Murphy accommodating the staging of the meeting. With a entry of 80 horses we were never going to have any divisions but a healthy declaration of 60% saw 58 horses race on the rain softened going. With the emphasis on stamina due to the heavy going many races saw only a handful of finishers, but that in no way detracted from the competitiveness of the racing nor the tightness of some of the finishes. The organising committee should be complemented on the day as at times the rain and wind that was encountered was hurricane like but everyone battled on and survived, even if only just! The attendance was a little on the small side and the 14 bookmakers on track may not just have struggled to make a few euro today as a few valiantly tried to remain upright on their pitches during the squalls that landed on the track. The afternoons highlight was the Park Hotel Open Lightweight over the traditional 3 miles. With 8 of the original 14 entries being declared it was the Derek O’Connor ridden, Davy From Milan, that went off as favourite. 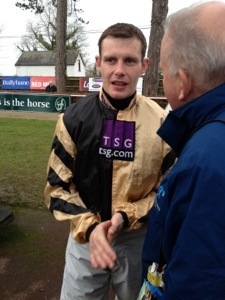 Following a nice win at Templenacarriga on the first Sunday of the New Year for Gerry Mangan he was stepped up to Open class here by his Mooncoin, Co Kilkenny based trainer , Eoin Doyle. Owned by Carrig On Suir man David Phelan this 7 year old son of Milan didn’t seem to jump very well but hit the front at the second last and stayed on to hold Irene Walsh and Pocket Reader. This was an interesting race to look at with Denis Spillane setting a pretty strong gallop on A Blow In until over hauled by Eala Beag on the final circuit. This horse under Stella McGrath had relinquished the lead on the uphill run to the third last to Pocket Reader, just before O’Connor unleashed Davy From Milan to strike. This was the middle leg of Derek O’Connors treble at the track with the Co Galway man opening his account in the Fennells Garage 5 year old geldings maiden on Bulfin Island. The 5 year old son of Milan owned and trained by Gary Aherne didn’t look a likely winner until after the last fence had been jumped, where he was driven out by O’Connor to win by 3 lengths. Three fences from the finish O’Connor was in fifth place on Bulfin Island behind the leading Lined With Silver but he conjured up a run from the West Waterford Foxhound registered to pass everyone and land his favourite odds. His winning connections were delighted afterwards in the parade ring with the horses winning owner/trainer Gary Aherne the Conna, Co Cork based Farrier indicating that the horse would be sold. 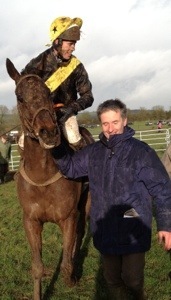 O’Connors treble came in the Dan O’Connor Feeds 7 year old and Older Maiden on Ballinaclasha Lad. Trained in Lisgoold, Co Cork by Dan Rohan, the home bred 8 year old son of Snurge was settled at the back by O’Connor behind the long time leader Beeverstown Cross and held the favourite Hopfgarten well. Owned now by Midleton , Co Cork based Judy Cuddy, this horse had only run 7 times before this and “will come on for this” according to Rohan. With only two younger horses at home this horse looks like being the flag bearer for Rohan for the remainder of the season. Cappagh, Co Waterford based jockey Declan Queally has had numerous winners both on the track and in the point to point fields and added a nice double here at Affane. Queally took the tightest finish on the day when driving home Emkae for Dungarvan man Raymond Beresford with Queally getting the 6 year old Milan home by a head from Fiddlers Way. Robert Tyner’s yard played a big part in this race as he saddled 3 runners here with Not A Bother Boy and Fiddlers Way all figuring prominently. The smallest field of the day came in Friends of Dungarvan Harriers Confined 5 year old and older maiden which saw 5 horses face the starter with the Nick Kiely trained Abbazagga going off evens favourite. In truth this 6 year old son of Bach sent to the front by Queally from flag fall only had ,on form ,one horse to beat and this challenge from Strictly Snowy evaporated at the sixth last fence where he fell. This left Queally to safely negotiate his way home to win by a distance in the colours of Dermot and Paddy Kiely. This was very a local win as only members of the Dungarvan Hunt were eligible to enter a horse here but his Lemybrien, Co Waterford based owners and his Kilmeaden based trainer didn’t really mind. Racing opened in brilliant sunshine believe it or not with Mallow , Co Cork jockey Johnny Burke producing a power packed finish on Trendy Native to get home by a half length from the longtime leaderIsabellesprincess. 1 of only 4 horses that Eudora O’Connor has in training at the home base Tallow, Co Waterford the 6 year old daughter of Overbury may now return to the track. Racing in the colours of the trainers mother Mary C O’Connor , who holds a restricted training licence herself the mare already has a handicap mark over hurdles. Burke was seen to great effect here as he swept through from the third last to win on the second favourite. Punters must have more than a little worried had they backed the favourite Sally Webster here as the mare who ran out when in front at the last at Ballinaboola wasn’t keen to even go to the start this time. She raced like she wasn’t enjoying it so it might be wise to forget this little mare until her “issues” are resolved, thankfully Burke did give backers of the second favourite a great return! If only I could get Barney Curleys phone number! With only one more week of January to go, the gloom and doom of this Barney Curley wannabee has to lift very soon. My “One for the day” tips have had a spectacular flop with a complete blank so far, I really should contact Barney and see just how he does it! So much has been said and written about since last wednesday and that Barney Curley inspired betting coup that I cannot shed any particular new light or insight into the four horse gamble other than to marvel at it. Irrespective of the money that might have been won with figures of €2m to €15m mentioned, to get four horses fit to race and win after a lengthy absence all on the same day is a story in itself. We all know about this betting coup because it was successful, of course we never hear or rarely hear of the ones that fail. Maybe there are not that many these days with the range of communications and the ability to track betting moves now really at the betting industries finger tips. Anyway well done to Barney Curley and anyone associated in the effort, but I’m sure that you won’t be reading my piece here for eye catchers but here goes. I’ve seen Gordon Elliot’s Un Beau Matin finish second at Punchestown and at Gowran Park on his last two runs for Gigginstown. Two totally different racing tactics were used each day with his attempt to win the Galmoy Hurdle at Gowran worth noting. The 6 year old Sagamix gelding seemed to enjoy front running and showed enough to merit support when and wherever Elliott and Cooper turn up next with him. Jimmy Devereux stands the giant horse Publisher as a stallion at Rostoonstown in Co Wexford . One of his stallions older sons, I Wonder Now ran a nice race at Navan behind the Cooper and Gigginstown horse Wounded Warrior in a maiden hurdle. Ok he is an 11 still running in maiden hurdles , but the important thing is he continues to show enough ability to warrant support. Admittedly he did disappoint at Fairyhouse this week but he has only run 8 times so far in his career and was good enough to win a Wexford bumper in 2008! Hunter Chasing has a limited scope for finding winners with only a few races and an ultra competitive element to every race. That said Waterford based Vincent Halley and Paul Power have a nice sort in the shape of Boxing Along, who ran nicely in such a contest to be second at Thurles. A 10 year old by Witness Box he is thriving in the point to point fields having won 6 times and looks capable of adding to his record before the season is out. Tom Foley is in rare good form himself with the Carlow based trainer seemingly one of the most profitable to follow at Gowran Park when he has a runner. He ran the 11 year old Tiraaz gelding Followmeuptocarlow in the beginners chase on Thyestes Day last week and ran well to be second. He has been mixing it between hurdles and fences and can add to his 4 previous wins over the coming weeks. As always, these come with a health warning but they maybe worth following in the next few weeks. Now if only I could get Mr Curleys phone number and see if he could share some of his wisdom with me! Townend is out on his own on Thyestes Day. Gowran Park staged the National Hunt highlight of the South East racing calendar today with the Goffs Thyestes Steeplechase on 50th anniversary of the legendary Arkle winning the same race. Willie Mullins joined Tom Dreaper as the most successful Thyestes trainers with 5 winners apiece a fact not lost on Mullins when informed of it in the winners enclosure afterwards. With 20 horses facing the starter Mullins saddled four including top weight Vesper Bell with 11-8, Uncle Junior, Balnaslow and the 2012 winner On His Own over the 3 mile 1 furlong trip on the soft to heavy ground. With Ruby Walsh, Paul Townend, David Casey and Bryan Cooper taking the mounts, Mullins must have been more than hopefull of landing the €100,000 prize. With Vesper Bell the chosen mount of Ruby Walsh from the quartet the 8 year old son of Beneficial went off 8/1 second favourite. Paul Townend has been a vital cog in the Mullins machine for many years now and he was entrusted with the ride on the 10 year old Presenting gelding On His Own. Taking the bold initiative of taking it on from flag fall the Co Cork based Townend made every post a winning one on the 12/1 chance to hold off the heavily backed 5/1 favourite Los Amigos for Jim Dreaper. Making just one mistake from my recollection at the fourth last which saw him relinquish his lead briefly, Townend got back to the front and held all challengers to the line. Of the future plans for the winner Mullins indicated that he would be entered in the Aintree Grand National again and see from there. Interestingly the winning trainer added that he had advised Ruby Walsh to opt for Vesper Bell , so even the very best trainers can get it slightly wrong! 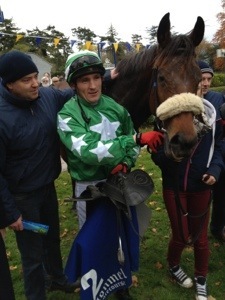 It was a good day for the Mullins yard with the Co Carlow based Kilkenny man recording a nice treble on the day. Mullins other horse Noble Inn troubled the winner most and this fella should go into the notebook when the ground dries out in springtime. The Grade 2 €40,000 John Mulhern Galmoy Hurdle saw 8 runners headed by the odds on chance Zaidpour for Mullins and Walsh. This horse looked unhappy some way from the finish as they all tried to catch Bryan Cooper on Un Beau Matin from Gordon Elliott’s Co Meath yard. Only one horse actually did with Elliotts second horse, Mala Beach fairly powering away in the end to win in the colours of Chris Jones at 100/30. A 3 mile chaser in the making this 6 year old by Beneficial seems to prefer the softer ground. This was very much a Kilkenny winner as Michael Butler the 3 lb claiming jockey comes from nearby Mullinavat and they raised the roof winning at 5/1. JP McManus was not on hand to welcome home Never Enough Time the 4/1 winner of the Martinstown Opportunity Handicap Hurdle under Ger Fox. The young Meath man who was winning his second race of the McManus sponsored series this year so far fairly bolted in on the 6 year old son of Oscar to win. 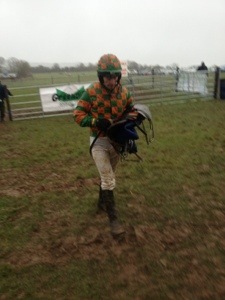 The final winner to record was the Dessie Hughes trained and Bryan Cooper ridden Some Tikket in the beginners chase. This 13/2 chance , a 7 year old son of Tikkanen, came with one run to win. With both the trainer and owners absent plans for the horse will have to wait for another day. Cullen, Deacon and Doyle make Fairyhouse a little bit of Wexford! With Barney Curley and his betting coup in Britain taking all the headlines today very few noticed the take over of Fairyhouse yesterday by the yella bellies!!!!! Wins for John Cullen, Daryl Deacon and Liz Doyle took the honours at the Co Meath track with all three trainers showing just how good they are. John Cullen now one of the senior jockeys in the weigh room has also taken out a trainers licence and currently operates from the Racecourse in Thurles. Originally from Blackwater in Co Wexford, the Cullen family have been immersed in racing and horses all their lives. John really had no hope of avoiding it and he has had a distinguished career as a jockey winning in Ireland, Britain and France. Cullen has a small team of horses to work with and saddled his first winner in Ireland when the 33/1 chance Misty Lady took the 2 mile maiden hurdle. This 5 year old Oscar mare owned by Imelda Lynch had shown a little glimpse of form in the past and only got into the race as first reserve. Cullen cut down on expenses here by giving himself the leg up on the horse, which was his second winner of the day in the saddle. Not a bad haul, two wins as a jockey and one as a trainer! 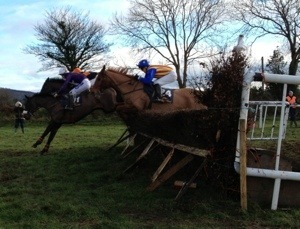 Racing opened with Clonroche, Co Wexford based trainer Daryl Deacon scoring with Tudor Fashion in the maiden hurdle. 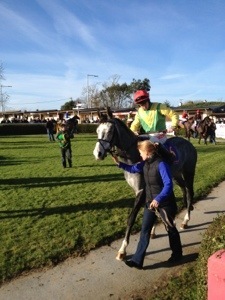 With some nice form to her name the 7 year old Presenting mare, home bred by the Deacon family won at 4/1. Owned by the Walsh family the mare needed Cullens forceful finish to get home by a neck. Funnily enough a neck was the same distance that Crossabeg, Co Wexford trainer Liz Doyle saw her Pairofbrowneyes win by in the very next contest under Adrian Heskin. This Noel Henley owned 5 year old Luso gelding gave Doyle yet another winner as she sets her sights today on the Thyestes Chase with Rich Revival and Brian O’Connell. Of course there were other winners at Fairyhouse, but given the obvious links to Co Wexford it was a day when Fairyhouse became a little bit of Wexford! Nenagh, Tyrella and Affane offer some cracking Opens this weekend. With the Thyestes Chase at Gowran Park out of the way this weekend, there is a real feel of spring in the air, with brighter days leading to slightly longer evenings. The Point to Point scene moves into Tipperary, Waterford and Down this Saturday and Sunday with an absolute cracker of an Open Lightweight at the North Tipperary Foxhound meeting at Nenagh. While only 10 horses might face the starter in the Connollys Red Mills Ladies Open it looks like a really interesting contest. Noel Meade has Pandorama entered with the fragile 11 year old Flemensfirth gelding set to run for the fourth time in 3 years. The winner of the Grade 1 Lexus Chase in 2010 he was subsequently 7th in the 2011 Gold Cup. He last ran at Cork in March 2013 but with only 14 races on the clock he wont fail on being over raced! He won a Point to Point at the Dungarven meeting in 2008 so in many ways he is returning to his roots. The assitant trainer, Nina Carberry, at Noel Meades Tu Va Stables in Co Meath might get the leg up here but that is as yet unclear. JP McManus does have his very own unique racing system, no more evidenced than by the path his 2013 Galway Plate horses have taken in the interim. His winner on that day, Carlingford Lough, has gone on to Grade 1 glory in the Topaz Novice Chase while his second placed horse Quatitativeeasing has an entry here!A Grade 3 winner for Nicky Henderson over fences and placed in some nice races in the interim the 9 year old Anshan gelding is now in the care of Co Limerick based Enda Bolger. Evanna McCutcheon might well choose this race as an option for her 10 year old Saddler’s Hall gelding Long Strand with the 5 time point to point winner trying to get back to winning ways here. He has been double entered at Tyrella on Saturday, so the Co Tipperary based owner/trainer has much to mull over in the coming days. 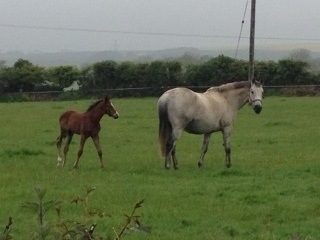 Rachel Kennedy has her venerable 13 year old Lough Ferrib entered with the son of Accordion already a flat and hurdle winner undoubtedly having the flat speed, even at this age to frighten some of these. The Co Clare based owner handler wouldn’t be far away if she can complete the course. The ground might just be suiting Irene Walsh’s Pocket Reader with two lack lustre performances at Kilfeacle and Dromahane to his name since last winning at Affane in November. Trained by Eugene O’Sullivan in Co Cork he has an entry as well at the Dungarvan fixture so where he races wont be up to the horse himself. When you throw in Willie Murphy’s Co Carlow raider ,Burren River a progressive 8 year old son of Amilynx this race promises much, at least on paper with our very talented Ladies jockeys having the stage all to themselves. The Armstrongs Auctions Open at Tyrella in Co Down has 13 entries, with David Christie hoping that The Last Derby gets back to form here. If saddled the 10 year old Anabaa would have a favourites chance I would say , with the previously mentioned Long Strand a serious challenger. I like the look of Liam Lennons Highly Unlikely here as well but his last two efforts could give reason for worry. The Winged Love 8 year old has loads of ability from what I have seen of him over the years so he should be thrown into the mix. Paurick and Derek O’Connor might have a joker to play here with Dancing Dik, a winner on the flat and over hurdles the 9 year old son of Diktat should be one to note here. With Affane hosting the transferred Dungarvan Hunt meeting this Sunday the Open Lightweight sees 14 entries. Paurick O’Connor has the Tyrella entrant Dancing Dik listed here as well in addition to Saticon a 9 year old son of Act One. This is another flat and hurdle winner from Britain and shouldn’t be ruled out. When you throw in Davy From Milan for Eoin Doyle’s Kilkenny yard, Powerstation for Eamonn O’Connell in Tipperary , Sir Frederick for Willie Burke’s Cork yard , Oscar Barton for Tipperary based Sam Curling and Pocket Reader for North Cork man Eugene O’Sullivan it will be very competitive. With a 12.30 start everywhere this weekend, it promises to be a really good couple of days. 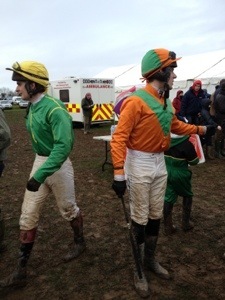 A full set of entries are available on p2p.ie with a couple of divides a possibility.